Not only me…even my wife to be fair enough has always given her #best in accompanying me through out my career postings in banking starting from #rural to #towns & #metro. It dates back to 2K14 and I remember that was around third week of June. I was watching swearing in ceremony of Mr Narendra Modi as Prime Minister of India 🇮🇳 and to my surprise I got a call from a friend about my transfer from Buxar(a small district head quarter town in Bihar) to another small Dist HQ town Daltonganj in Jharkhand famous for MCC/MAOIST activities. To be honest that night we both couldn’t sleep 😴 out of anxiety of spending another few years in isolation since we came to know that Daltonganj was not well connected with Balasore in Odisha my home 🏡 town. We never knew God’s grace…..always trail behind Us and I will confess it was my Best posting so far…. At Daltonganj Me and wife used to visit the famous “Betla National Park” just around 27 km away from the town on my Royal Enfield (Bullet Classic350cc Macho Bike) on holidays/Sundays without any miss because there were no other places nearby to amuse us. Betla National Forest 🌳 Guest house 🏡 has a beautiful #restaurant inside along with two Tree house 🏡 accommodation as well as 6 suites for stay . I am not sure “how many of you will agree the way I used to enjoy 😊 the Bullet ride with wife and one/two rounds of #chai☕️ I mean tea with local bakery biscuits outside the Forest guest house after few hours of photo session with monkeys and deers roaming free inside the forest 🌳. 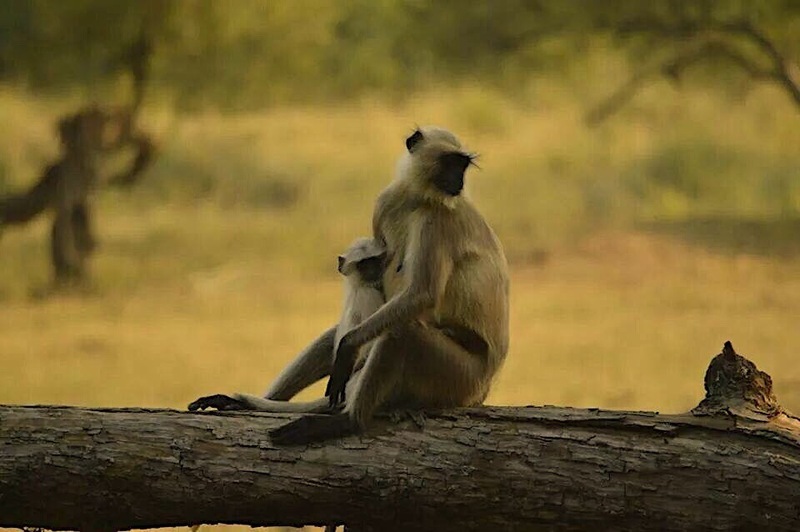 My luck…I will always cherish the beautiful shots of monkeys 🐒 I took at Betla. 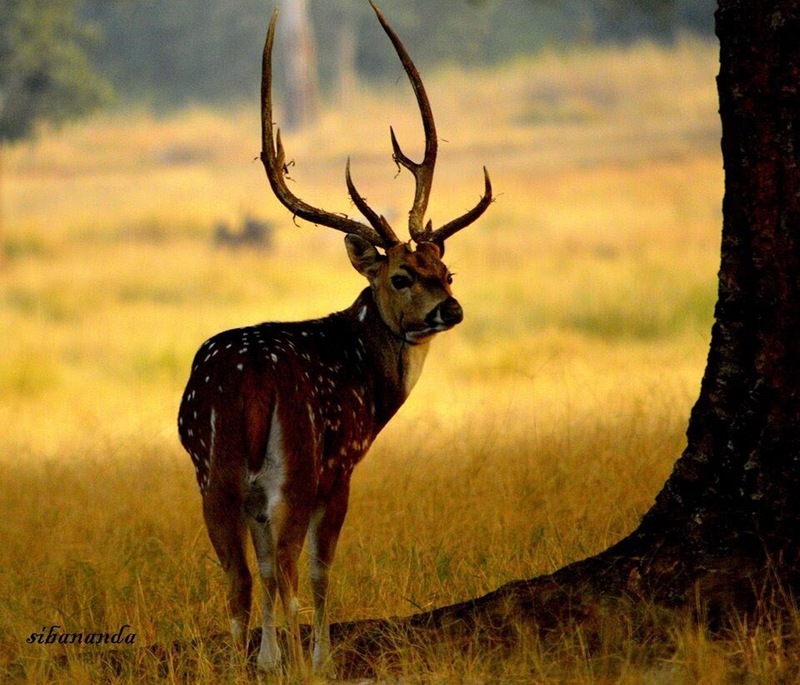 “Royal Stag” I will always remember this beautiful shot……I took at Betla . Beautiful images. Nostalgia is a much-needed thing in our lives if only to transport us to wonderful moments that remain lodged in our memories. I have not been to a forest guest house in India but I associate it with Satyajit Ray and his wonderful way of bringing them alive to the reader. I am happy to say you know the veteran Satyajit Ray the all time famous Director of so many awesome movies.The back ground of my story is around Betla National Park which as I have heard Satyajit Ray too had visited and had a film 🎥 on it though I won’t recall the name . Oh but you are quite so welcome. I do a fair bit of nostalgic journeys too so this resonates with me. Hope someday you drop down here in India for a charismatic photo coverage that I can assure you right now. Will be really happy 😊 to entertain a guest like you….